You will always be able tell the difference between an unedited and edited video. Unedited footage is usually shaky with background sounds that shouldn’t be there. There is often no transitions or contain awkward transitions between scenes. Video editing can fix these to make your video feel like it was shot professionally. Video editing can be a hassle, especially if you don’t have the hardware, software, or experience. It can also be a burden; especially if you/your client want the client to have the finished product immediately after the event has been filmed. There are different ways to edit footage. The fastest method is a live edit which doesn’t go through a post-production process. Here’s a quick look at the different editing processes, just to give you an idea how things work and how live editing differs from the other processes. Film splicing – Technically this is not video editing, but film editing. This is also what is considered the oldest of all video editing processes. In film, splicing the footage is edited by cutting sections of the film and rearranging or discarding them. A splicing machine then allows film footage to be lined up and held in place while it is cut or spliced together. 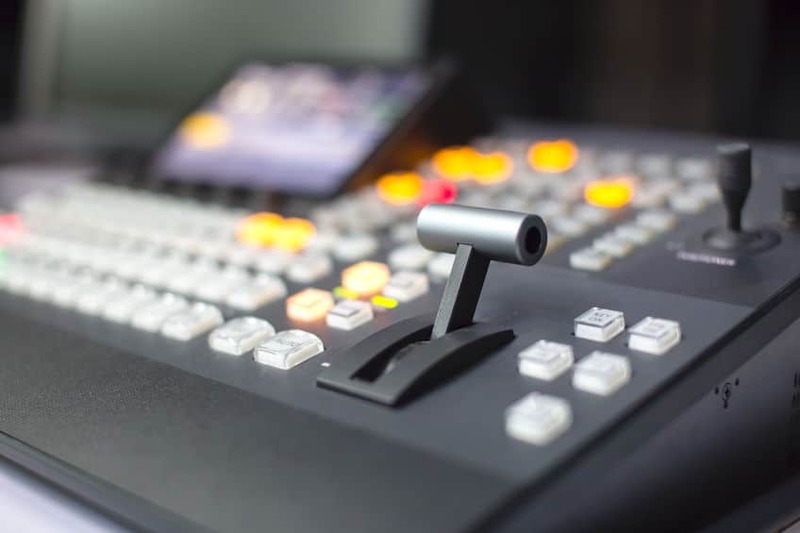 Linear editing – In linear editing, the video is selectively copied from one tape to another. Segments from one tape are arranged as how a video editor sees fit the storyboard should run in the second tape. The second tape will become the final copy. It is called linear because it has to start with the first shot and follow a chronology until the last one. Digital editing – In this method, video footage is saved to a computer hard drive and then edited using specialised software. After this is done, the finished product is recorded back to tape or optical disk. This is also called non-linear editing because the editor can work on any part of the footage at any time and not start from the beginning. Did you notice that those methods involve some processes or some time in a production studio, cutting floor, or editing machine? In other words, they take up time? Not so with live editing. Live editing – In this method, multiple cameras and other video sources are routed through a central mixing console and edited in real time as the event unfolds. There is no more post-process. A live television coverage is an example of live editing. The advantages of live editing are obvious; you or your clients get the finished product immediately and you don’t spend any more money to pay for video editing. If you have any event you want filmed and/or broadcast over the internet; and want that content available immediately to you or your client, we can help. We are Red Shell Productions; a live event streaming company based in West Midlands. We provide end-to-end streaming solutions and filming for companies, groups, and individuals around the country.